Los Angeles is a beautiful place. With our beaches, sunshine and palm trees, people from all over the world strive to live the L.A. lifestyle. An integral part of our L.A. vibe is the culture of caring for the earth. With all of the pollution, traffic and seas of humanity, you find environmental stewardship where you can. One of the ways that your business can participate in the goal of preserving the earth is to enter into one of our eco-friendly copier leases. You may think that sounds funny. 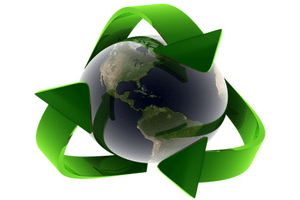 How can we offer eco-friendly copier leases when copiers use paper and chemicals that degrade the earth? Believe it or not, there are many copier manufacturers these days whose sole purpose is to provide products that are efficient, economical and eco-friendly. Kyocera is one world famous copier manufacturer that has made a commitment to creating copiers with low waste systems. If your business cares about the environment and wants to make eco-friendly copier leases one of your priorities, we can help. We work all over the Los Angeles area and have excellent knowledge of all of our copiers for lease. If you mention your commitment to the earth and your desire to have a copier that is eco-friendly, just let one of our friendly copier sales and leasing reps know and we will do what we can to get you set up with the best fit for your business.